ALLEGRO MICROSYSTEMS is a leader in quality semiconducting elements production. Its products are widely used in the automobile industry, offices automation, heavy industry and communication solutions. 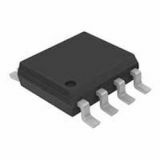 One of its main products are the Hall effect sensors together with CMOS, DMOS, BICMOS and BCD transistors. The compay is founded in Massachusetts and has production facilities and offices all over the world.